If you missed parts 1, 2 or 3 of this trip report then click on the corresponding number to catch up! Thursday morning saw us waking up in and checking out of the Yacht Club. We resort-hopped more on this trip than I’d probably recommend but I do think split-stays are an easy way to see and stay in more resorts. With Disney’s baggage service, the process takes next to no time. If you have more questions about resort hopping then let me know in the comments, I’d be happy to answer questions or devote a post to it. After checking out, we made the quick walk from the Yacht Club to Epcot. This was the last day of our Disney Deluxe Dining Plan and the first day of Epcot Food & Wine Festival. In layman’s terms that means we were going to eat all day. With a full afternoon of eating, we figured that riding attractions early was a good way to go. We started with Soarin’. This is likely Epcot’s best attraction from both a technical and entertainment standpoint. I think that’s fairly indicting of Epcot from this viewpoint. While Soarin’ is an excellent attraction, I’ve always thought that it was a step below other Disney headliners. 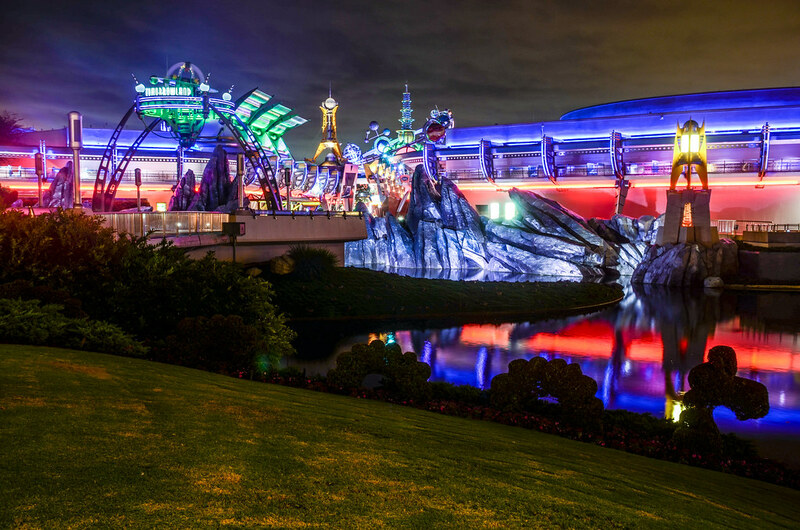 For a park built on the future and innovation, Epcot could really use a headline attraction that embodies those ideas. Frankly, any up to date attractions that embody Epcot’s principles would be an improvement. I know not all share my opinion of Soarin’ and that’s fine, I just think Epcot could use a new state-of-the-art E-ticket. And no, a Guardians of the Galaxy roller coaster does not fit that bill. 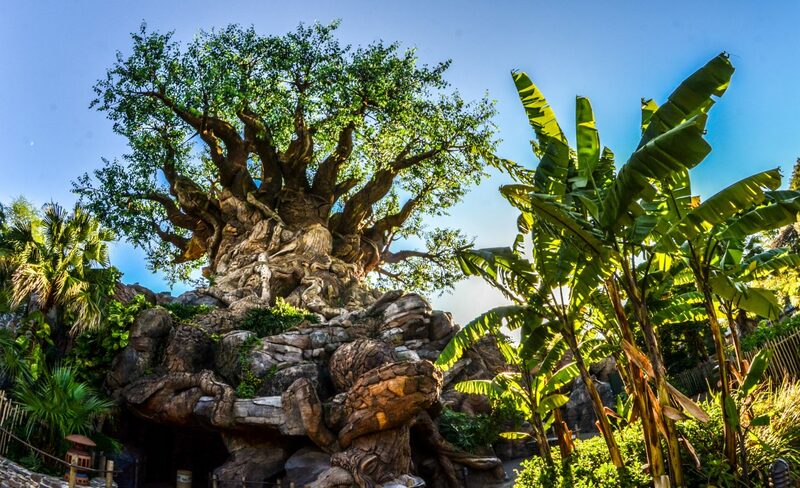 After Soarin’, we rode Living with the Land which embodies those Epcot principles. While I love Living with the Land, the attraction is beginning to show its age. An update to the opening scenes before the greenhouse would certainly bring this attraction up to date. Still, seeing all that Epcot is growing can be very fascinating. Living with the Land remains a vestige to a Future World that was once more mature and interesting. Next came The Seas to see some manatees. I hope you read that in a manner that really augmented the rhymes. While I don’t like The Seas with Nemo and Friends actual ride, the aquarium portion of the pavilion is still great. We completed our morning of attractions with Spaceship Earth. Epcot’s flagship attraction could also use a makeover. 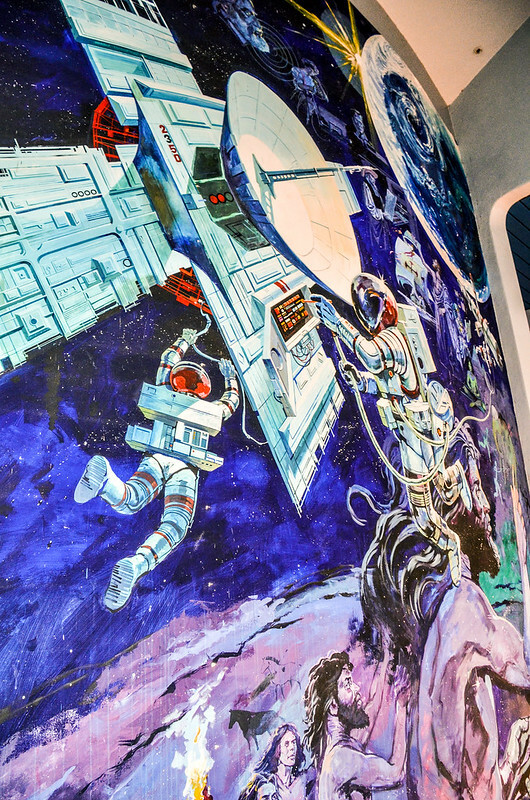 Unlike Living with the Land, I think it’s probable that Spaceship Earth will receive an update in the next decade. While I still enjoy the attraction, updated narration, a few new scenes and an overhauled ending could go a long ways here. Whatever they do, I hope they leave this mural. This is one of my favorite pieces of art around Walt Disney World. While these last few paragraphs have a more pessimistic tone than I generally take, I don’t think Epcot is far from returning to a wonderful park. World Showcase doesn’t need that much help. All of these Future World attractions that I mention could simply just use a little freshening up. Putting a few interesting items in those empty buildings might help too. After all of this silly ride nonsense it was time to eat, and eat we did. 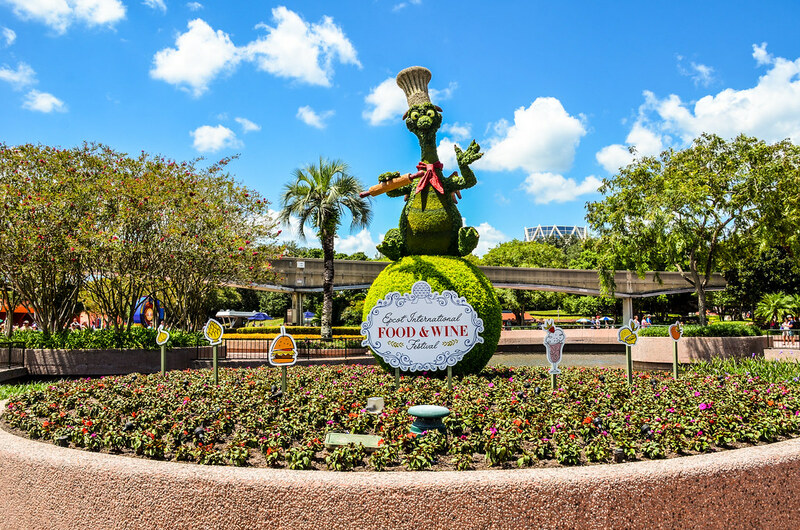 I’ll have a post up on Food & Wine Festival later this week, detailing a few things we ate. Our experience was fairly interesting, as this was one of the hottest days of our trip. Trying to stay out of the 110 degree heat index, we’d order food and then find the nearest building to eat inside of. The strategy took a little more effort than we would have liked but it helped us stay a little cooler on an otherwise sweltering day. We stopped in the Mexico Pavilion in between snacks for a ride on the Gran Fiesta Tour. I thoroughly enjoy this attraction although it isn’t a game changer. 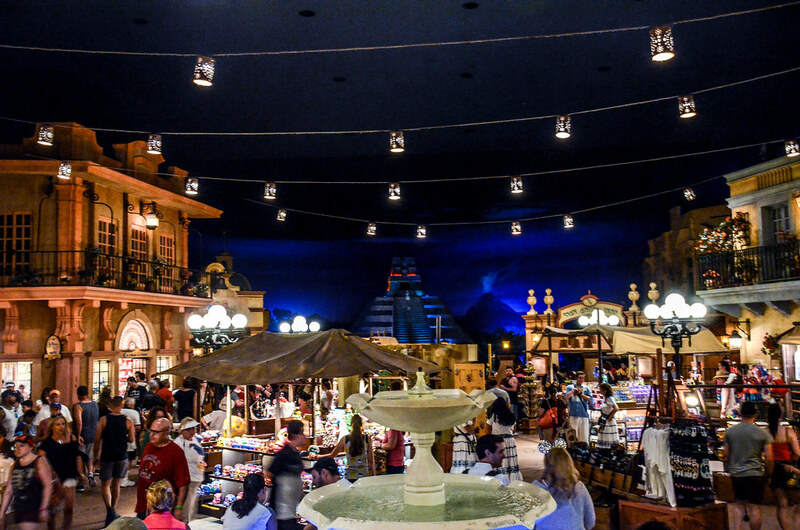 The Mexico Pavilion is wonderful and worth spending time in to enjoy the marketplace. The margaritas aren’t bad either. We continued our trip around World Showcase, sweating and eating. We topped off our afternoon with an ice cream macaroon sandwich in the France Pavilion’s L’Artisan des Glaces. Before long, we boarded a bus and headed to the Art of Animation where we’d be staying for the next few nights. We checked in and rested for a few minutes before heading out again, this time to Magic Kingdom. As if we hadn’t eaten enough in the afternoon, we had a dinner reservation at Be Our Guest. Some of my favorite photographs that I’ve taken happen in a spur of the moment. We had a few minutes before our dinner reservation so we enjoyed a leisurely walk to New Fantasyland. 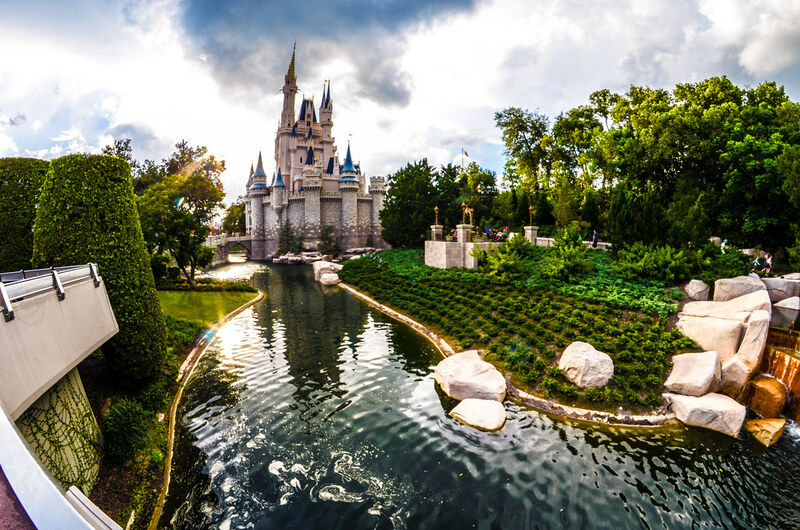 The side view of the castle is one of my favorites. Between the leading lines the banks of the water forms, or the interesting light fixtures, this is one of my favorite areas to photograph. The somewhat precise garden followed by the overgrown foliage on the right side of this photo always interests me. While I’m no garden expert, the blend of styles here seems to take from different cultures and makes the castle setting seem both somewhat foreign and comforting. I think this is all intentional and beautiful. 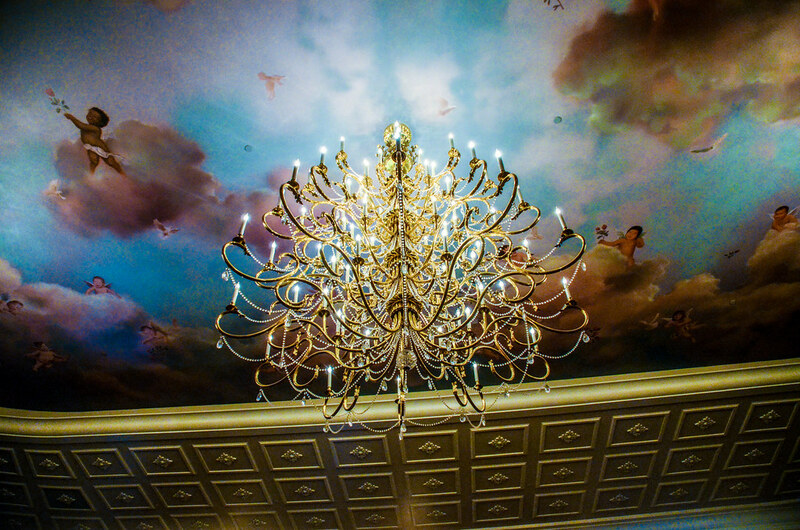 We eventually made it to dinner and enjoyed dinner at Be Our Guest, a review is forthcoming. The main goal for the rest of the night was to get a great spot for Happily Ever After. We still had a few minutes before a spot was needed, the park wasn’t very busy on this night, so we hopped on the carousel. It’s impossible to look sad on a fake horse. 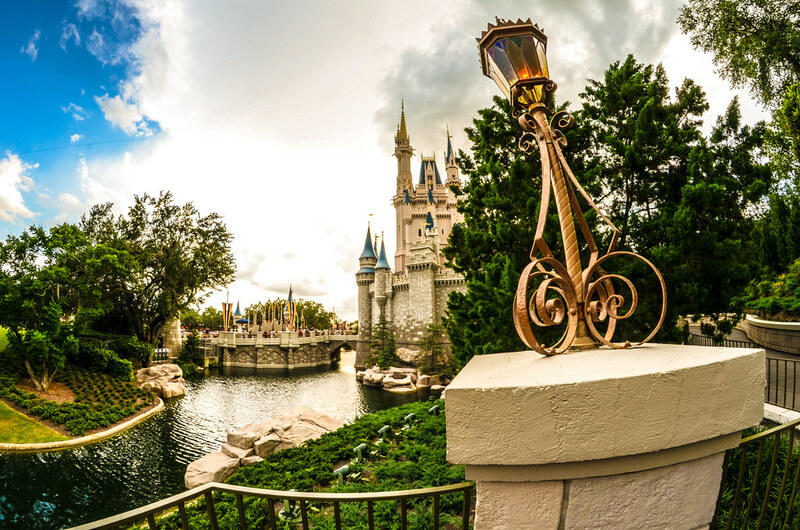 After the carousel, we went to Main Street to find our spot for Happily Ever After. Melissa and I both loved the show, as you can tell from my review. Before the show, we made friends with a few older couples around us. They told us a few stories about coming to the parks every year for the last 15 or 20. We were all pretty eager to see Happily Ever After, as it was the first time for all of us. None of us were disappointed and we went on our separate ways shortly after the show ended. Being a Disney Park fan certainly has similarities to being a loyal fan of a sports team. You can see someone in the park and easily strike up a conversation about your experiences just like when you see a fan of the same team as you and then recall certain games. I did think Happily Ever After was slightly more difficult to photograph than Wishes but that’s likely just because of my unfamiliarity with the show. 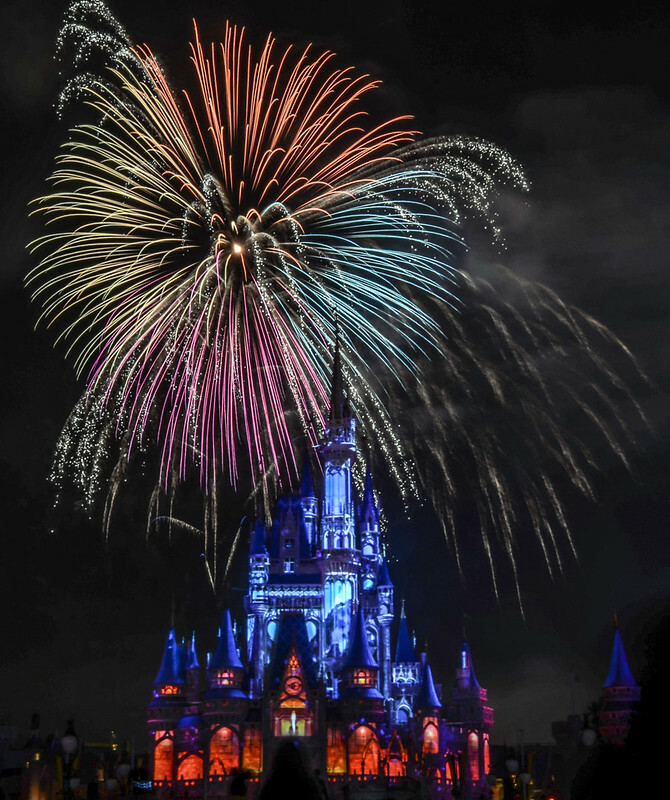 I thought the fireworks were more colorful, which is a plus, but having projections on the castle makes long-exposure shots less sharp. 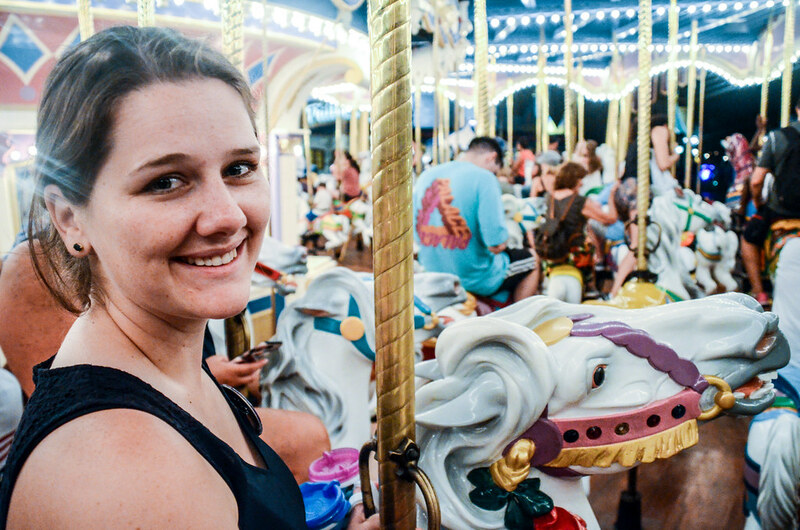 After Happily Ever After, we rode a few attractions and then I took a few photos around the Magic Kingdom Hub. We had an early morning the next day so before long we went back to the hotel. As we were exiting, a thunderstorm had just begun over Bay Lake. We hustled to the bus and narrowly escaped getting poured on. Unfortunately, we still had to walk to our hotel room. We tried to wait out the storm in Landscape of Flavors, the hotel’s food court. After 10 minutes, we decided that it wasn’t going to let up and we ran from building to building all the way to the Art of Animation’s Little Mermaid Wing. By the time we made it to our room, our clothes were drenched and wouldn’t be dry for a few days. There’s nothing quite like getting caught in a Florida storm, and this was the craziest one I’d ever been in. The next morning found us up early and going on the Keys to the Kingdom Tour at Magic Kingdom. I’ll review this tour in the next few weeks but we thoroughly enjoyed it. This tour took up 5 hours of our day so we’ll pick up later that afternoon. We spent that afternoon enjoying some attractions, notably in Tomorrowland. 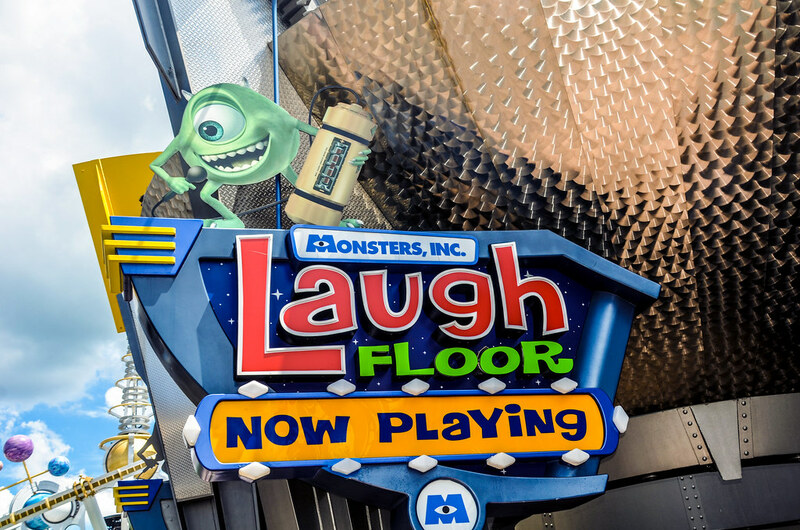 First was the misplaced but always funny Monsters, Inc. Laugh Floor. This is a great attraction to save for a hot Magic Kingdom afternoon as you get to sit down and enjoy some air conditioning and jokes. 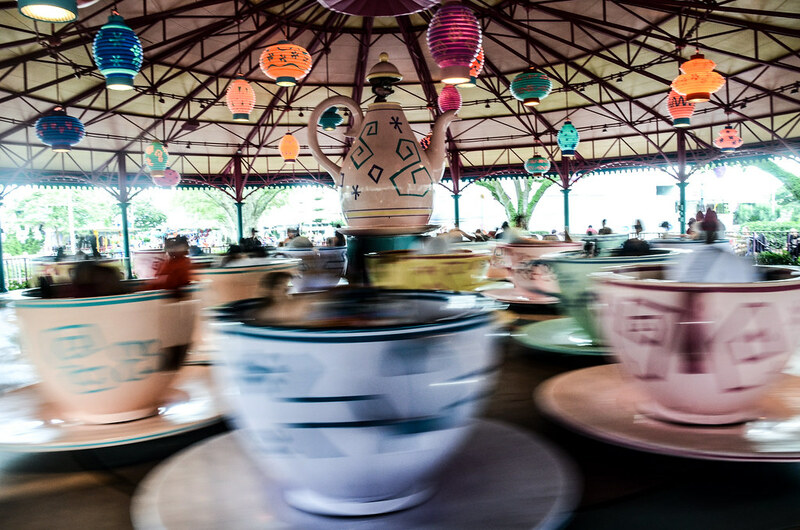 Next came Space Mountain and then the Tea Cups. We continued our attraction-filled afternoon with Seven Dwarfs Mine Train. I caught the end of a Muppets Present… Great Moments in History show, which has become a must-do in Magic Kingdom. Seriously, it is one of the best attractions the park offers. As if the Muppets weren’t enough awesomeness for an afternoon, we headed to Country Bear Jamboree. 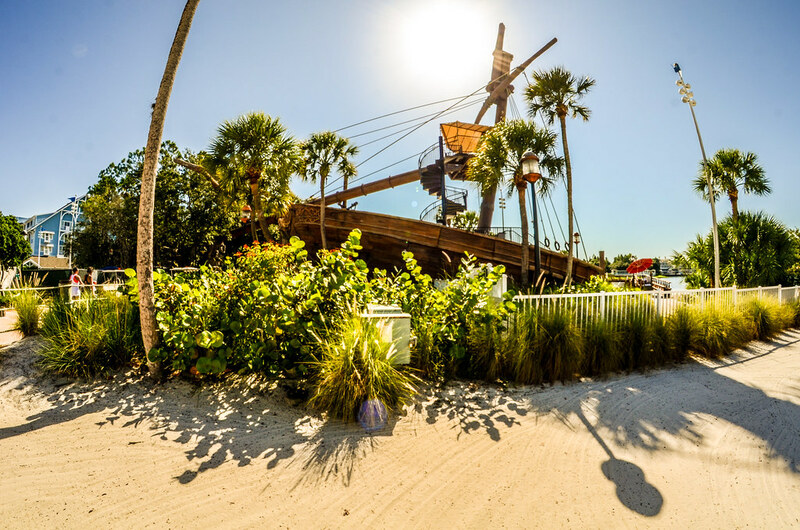 There are some attractions that are running on borrowed time. They should have been replaced years ago. 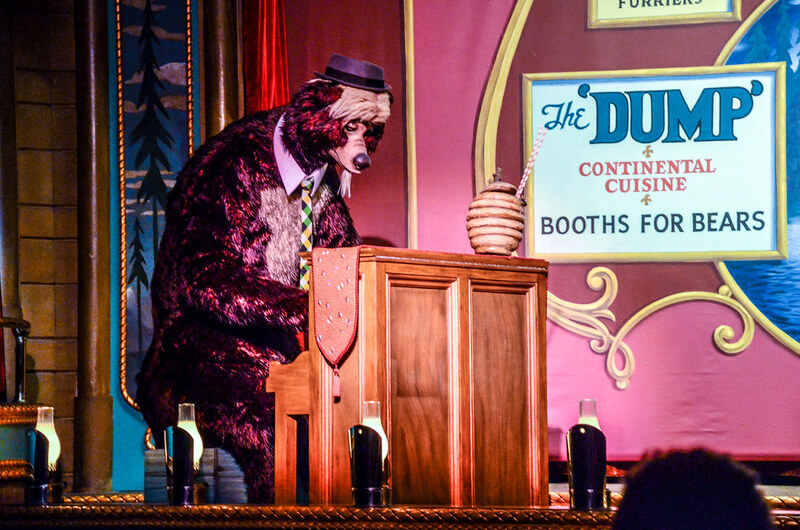 Country Bear Jamboree, despite it’s age, is definitely not one of those attractions. The jokes are still funny, the songs are still charming and the show still works. I hope this is never replaced. We took a few minutes to walk around Frontierland after seeing the Country Bears. There are certainly some beautiful reviews along the river. Unfortunately, Splash Mountain was closed during this trip but that didn’t make Frontierland any less beautiful. 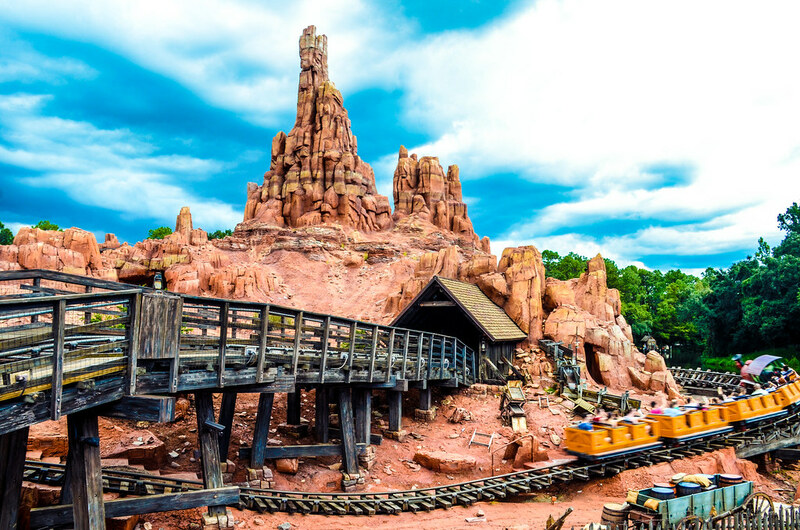 Finally, we capped our slew of attractions with Big Thunder Mountain. In total, we went on or saw 7 different attractions in a little less than 3 hours. FastPass is a big help but this goes to show that doing attractions in the afternoon isn’t just an exercise in standing in line. Sure, staying away from most E-ticket attractions during the afternoon is smart but there are plenty of other rides to go on. We went back to our hotel for a while and then headed to Disney Springs. Melissa spent the evening shopping and I watched football after we had dinner. We both enjoyed the night and the nice change of pace. We’ll pick up part 5 of the trip report the next morning. We have never thought of resort hopping before! 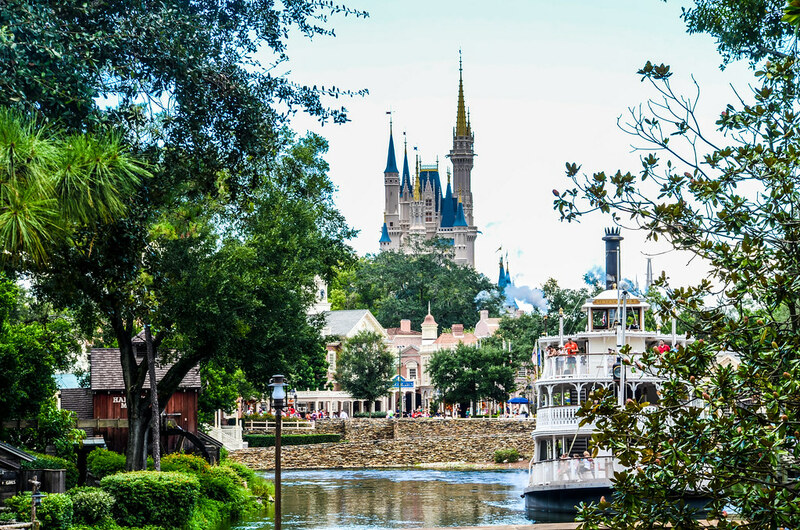 I would love to hear more about it…I’m familiar with using the Magical Express from/to the airport and their baggage service there…does it work pretty much the same way for resort hopping? I would assume you’d check out of one, give your bags to…someone…and then later in the day just receive that wonderful text update that says “Your room is ready!”, bags and all? Our trips lately have been on the cheaper side, but we fully intend on budgeting right and getting ourselves into a deluxe hotel. Resort hopping might just be a great way to manage that, if we can’t swing 7-10 days in a deluxe hotel! Of course, then there’s the question of…do we start at the nicer hotel, or end there!? lol! 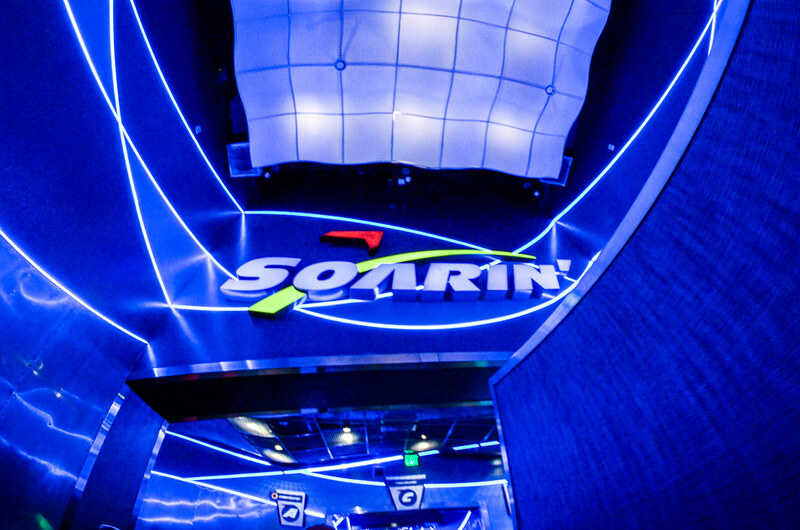 On another note, I think I’m the only person in the world who just doesn’t care for Soarin’. It’s not thrilling enough for me, and I find myself a little bored. Plus, I always seem to get seated at the ends so the whole screen bends. Nothing ruins immersion more than the tip of a pyramid or the Eiffel Tower suddenly bending away! I’d be happy to write a post on resort hopping. It is nearly as simple as you laid out but I could discuss a few other things in a post. I think I prefer ending with a nicer resort but there are positive/negatives to both. I can imagine pros/cons to both sides. We stayed at Pop Century the last two times, and the first time we were SO excited because it was my husband’s first time to WDW ever. The last time, our honeymoon, we came back to Pop and it just didn’t have the excitement of the first time. It was like “okay, we’re here, we know where to go and what everything looks like, let’s get to our room.” He said it was like we just went home, or never left – it felt too familiar.